There is no denying that students get a lot more out of blogging when they receive comments. Comments provide feedback, encouragement, advice, positive reinforcement, learning, conversation and new ways of thinking among other things. 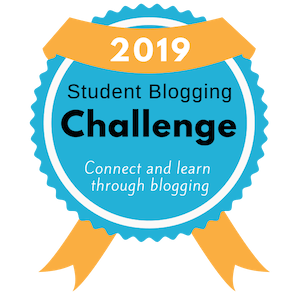 2012 is the fifth year I have been blogging with my class and I have learnt that there are some tips for attracting comments to your blog. For the first year or two of blogging we received very few comments. When I look back, I can hardly believe that I was motivated to keep going when so many posts were not commented on. Now every post on our class blog receives anywhere between 30 and 80 comments. I am glad I kept going! While I have found this to be true, I would suggest that the education community (students, parents and teachers) can be influenced a little more than the general online community. We have a vested interest in supporting children! Be part of the blogging community: To put it simply, you can’t expect people to comment on your blog if you don’t ever comment on theirs. There is an active community in the educational blogosphere and you will reap the rewards if you get involved in it. Finish your post with questions: Take some of the guesswork out of commenting and give readers some suggestions on what they could comment on. This is something that I have found works very well with my class blog. Make sure you include open-ended questions that appeal to a wide audience. Don’t write all the answers: I may be a little guilty of this with this post but if you write an open-ended/incomplete post then people feel like they have something to contribute and will be more likely to comment. I find that if everything has already been said in a post and I feel like I don’t really have much to add, I would be less likely to comment. Educate readers on how to comment: Don’t assume that all teachers/parents/students know how to leave a comment. I provide parent handouts and a video on how to comment. You might choose to have a “how to comment” page on your class blog like I have. Reply to comments: I believe that it is basic blogging etiquette to reply to all/most comments. Acknowledge your readers’ comments, interact with them and they will be encouraged to comment again. Be original and diverse: I encourage my students to post about not only what appeals to them but what they think might appeal to their audience. I think this is important in the development of their writing skills and of course is a good way to attract comments. Including a diverse range of posts allows you to offer something to suit everyone. Publish in a timely manner: People won’t be very interested in commenting on an event that happened three weeks ago. We try to publish a post as soon as possible after a class event on the 4KM and 4KJ blog. Students and families are more likely to comment when their enthusiasm about an event is high. Publicly read and praise comments: We start each school day with 20 minutes of whole-class blogging. This provides a chance for students to read out the comments they have left at home and school in the past 24 hours. We have found that there was a big increase in comments when we started doing this. Students respond well to praise and are eager to get their five minutes of fame. Hold a commenting event: We have held a few special class events to stir up some new enthusiasm for commenting with great success. Some of these events included the Family Blogging Afternoon and Family Blogging Month competition. Invite people to comment: Every fortnight I send out an e-newsletter to parents. I often ask them to comment on a particular post. When people are directly asked, they are sometimes more likely to commit to doing something. Inform people of new posts: You need to make it easy for people to know when you have a new post. If they don’t know about your posts, they’re not going to comment. Set up an email subscription and RSS feed, and consider using Twitter to publicise posts. Have a pattern to publishing: Readers get to know whether you have a blog that is updated a few times a week, a few times a month or less regularly. Personally, I’m more likely to comment on blogs with a regular pattern of posting – even if it is only updated semi-frequently. Blogs that are updated very rarely or sporadically are easy to forget about. Remember, it takes work and ongoing effort to attract comments on your blog, however once you build up the momentum the effort decreases and the rewards increase! What has been your experience with blog comments? What other tips do you have for attracting blog comments? During a week, the kids help each other to send a comment. They are eager to win a prize, and they also encourage their parents to visit the blog and to send a comment. Works great! Hopefully they’ll keep commenting during the next weeks! I visited your blog and I couldn’t read it however your competition sounds great! I bet the kids really got into it. Luckily for me, I can read and understand your blog! You give so many people great ideas, all over the world. Thanks for that! I’ll keep following your posts! Greetings from Belgium! Thanks for an inspiring post Kathleen. I am constantly encouraging etchers to blog with their classes. I share your blog with them, I set up blogs for their classes and very little happens after that. I will pass on this post but more importantly you have inspired me to start a new blog. I have started a few over the years but they are either personal and not really for publication or fizzle out due to lack of purpose. I have always felt that I don’t have much to offer the educational blogshere that is new or original and not having a class sounds condescending. HOWEVER I reckon I could blog on Ultranett tips and tricks! I think there just might be an audience – even if it’s not huge and I think my contributions might be useful. I will now be able to put your tips rom this post to a good use for myself not just passing them on to others. So while I can’t answer your questions I will be particularly interested in everyone else’s replies and ideas. many many many thanks for a great post an a fantastic blog all round. It made my day to hear that I have inspired you to start a new blog. I really think everyone has something to offer and audience an your Ultranet tips sounds terrific! That is a big area of confusion for many teachers. Thanks also for passing my posts on to your staff. Your support is very much appreciated! I, do agree with all your points about attracting blog comments. However is saying this I do truly feel it is very personal thing while many will want to jump on board the blogging train while some will not. Sending out emails to get people on board and having afternoons informing them all about blogging is a wonderful way introducing them to blogging and one that I really do believe works. I can’t thank you for introducing me to blogging for I have truly have loved it. The wonderful friendships which I have found and formed as well as learning along the way has made me a better person. Thanks for taking the time to comment. It is a personal thing, isn’t it. There are some parents/students who you can really encourage to comment but they just don’t get into it. Others can be more easily influenced. As I have said before, you are a role model blogger and the way you consistently support our students by commenting is just amazing! These are great tips. Commenting can become a passion when we start to develop an interest in blogging. For children, supportive comments from somewhere out there can be a great stimulus. You know how much we appreciate your support! Our students talk about you as if you are just another regular member of the 2KM and 2KJ community. Like AA, you make a difference to the lives of students. For that, we thank you. Your advice here is very comprehensive and easy for other teachers to implement. I have never quite as disciplined as you in terms of my own students’ blogging, but maybe because they were upper primary students, they saw comments as secondary to self reflection. Personally, in my six years of blogging, comments are harder to attract now than ever before, probably due to Twitter and the simple fact that many, many more educators are blogging and conversations are scattered all over the internet. I do try to make as many comments on blogs as possible – but I could always improve as can be seen by the fact that this is the first comment here even though I’ve been reading your blog for over a year now. I know exactly what you mean about there being so many blogs now! Another tip I could have added is to build your own little community. With my class, Quad Blogging was great for that. This is a concept I have blogged about before here. Older children would probably require some different incentives and techniques when it comes to commenting. Daveykids (http://eps12lc.global2.vic.edu.au/) try to blog twice a week. During Term 1 on a Friday I will always offer the ‘carrot’ of a reward point if a student comments on the blog over the weekend. We use http://teach.classdojo.com combined with paper reward charts (rocket, aeroplane, flower) that have 10 dots on them = 10 reward points = a treat from the treat jar. This works great for my current cohort. I understand there are pros and cons of rewarding children for learning and that it should be intrinsic – however that is a different discussion! I can relate to this because Kelly and I sometimes offer students raffle tickets (our reward system) if we need to boost up the commenting. It works! These extrinsic rewards certainly would be controversial for some people, however I really believe they have their place. I am always astounded by how well my students respond when a raffle ticket is offered. It goes without saying that a lot of the rewards in our classrooms are intrinsic as well so I think one extrinsic reward definitely has its place. Thanks for bringing up this suggestion! I think the word you are looking for is engagement, building a presence is one thing but engagement and a sense of purpose to your blogging helps. @ Stef, yep you’re right. Very important! I’m marking this in my Diigo bookmarks as another fabulous Kathleen post! I love your tips. One tip that sometimes applies is when someone comments on my blog, I go to their blog to see if there is something interesting to comment on. I’ve made some great connections this way. It doesn’t always work out, but it’s something that I’d recommend when you are new to blogging and making those connections. You made a terrific point! This is something I am very conscious of and try to do but time is an obstacle. I don’t find myself commenting on my readers’ blog as often as I would like! I guess it is something I could do more easily before I got to know so many bloggers. Your tip is also something I tell my student bloggers and they’ll often visit their commenters’ blogs and make that connection. It really is important. Your post really struck accord with me. I have just started blogging with my class this year. I was so keen and eager and just naturally thought parents etc would comment. I was amazed at how very few commented at first. I had to (and still do) work even harder at getting the comments flowing than actually blogging. I slowly learnt to do most of the things you suggest. I constantly sent out reminders to my parents and followers when we post. I often send reminders about the URL as well. I find encouraging the students to take ownership of the blog means they go home and encourage family to comment. I also found visiting other blogs and making connections helped enormously. One thing I did do was find a very interested, engaged parent who spread the word and helped the blog gather momentum. I also spread the word amongst students and teachers at my own school which helped things move along. Anyway sorry for the long comment, but your post definitely shows us that blogging won’t just happen by itself. It ‘s hard work, but oh so rewarding for the students and even more so for me. I have to apologise. I just found this comment in my spam! Not sure how it ended up there. Thanks so much for taking the time to comment and thanks for sharing your blog link. Kelly (who I am team teach with) and I are always saying how hard it used to be to keep the comments going but when you gather momentum it just takes care of itself. You are doing a terrific job of generating comments! You’re right it is so worth the hard work. I love your idea of getting parents to spread the word. I have had this happen a couple of times and it makes a difference! Hope to hear from you again and apologies again for missing this comment. No worries, I just thought I must have hit the wrong button somewhere along the line. I love your blog and have learnt a lot. 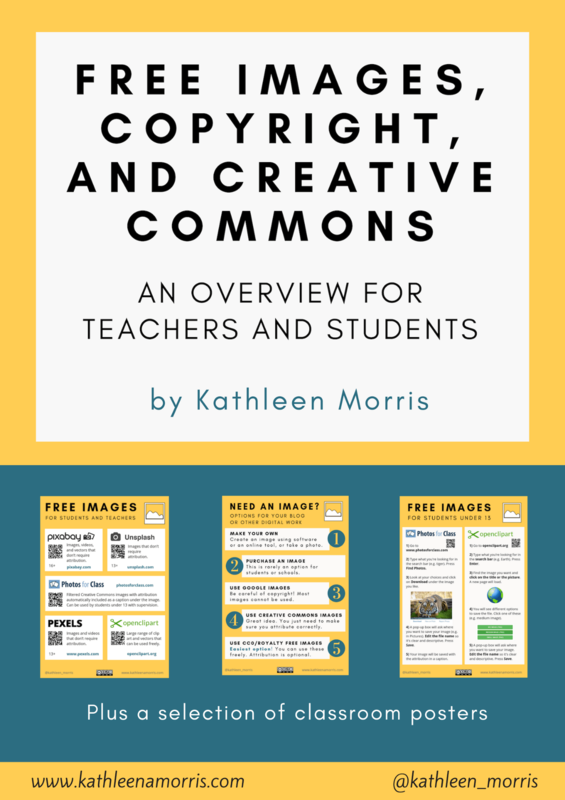 Use the twitter hashtag #comments4kids It’s about 2 yrs old, created by @wmchamberlain and is a great way to get teachers and other students visiting your blog. You’re right, that could definitely be on the list of tips for attracting blog comments. Love reading your tips—my 2nd graders just started blogging with kidblog and some were almost using it like a Facebook status update page….but they are learning thanks to your tips from your other articles! @ Mr Brim – thanks so much for letting me know! 🙂 I appreciate your support. It is Jordi your 2011 student. I love to leave blog comments. I also love righting blog post on my blog. You must put a lot of effort into these blog posts. They are very long. You could leave them a comment and get to know them! Dose Miriam and Victoria share a blog? Yes I think they are sisters? I think Miriam was in Mrs Yollis’ old class and Victoria is in Mrs Yollis’ new class? What fabulous advice! We’re new to blogging this year and are absolutely loving it – we’ll be taking your ideas on. Thanks from NZ! @ Miss H – you’re welcome! Good luck on your blogging journey! Again another fabulous post that was published at precisely the time I needed it! Getting people to comment is something I struggle with because I have a school library blog and not a classroom blog. One might think because I have 400 students instead of 25 students, I would get more comments. Unfortunately the reverse is the case, at least for me. When I only see a class once per week or every other week, it’s hard to get the kids commenting. However, your post and your readers’ comments have given me some new ideas to try! I am also hosting a Parent Tech Night in November to teach some of our parents who they can help with children be involved with blogging. I hope to get a full house! I definitely agree, it would be much harder attracting comments from 450 students than from 25. You are doing a great job and I think you Tech Night will be a big hit! I know when we had our Family Blogging Afternoon we generated a lot of parent interest. I have only found your great information on blogging. We have only started blogging in our school in the last 6 months. It has happened up a whole new world. I am finding that it is important to be involved in commenting on others blogs, particularly within our own school. To encourage my kids, I thought I would try a blogger of the week. So far so good! I am finding its a great way of demonstrating to the kids what we are learning. They always have some great suggestions as to what to put on our blog too! Thanks for your comment. Blogging and bickies is an excellent idea! I hope it works for you. Getting participation really isn’t easy but with some creative ideas and persistence it’s definitely do-able.